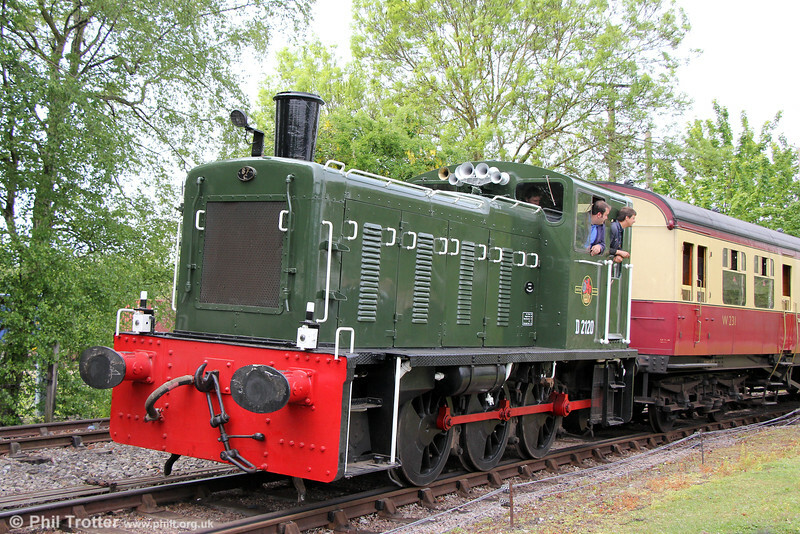 Displaying an elaborate collection of horns, D2120 (03120) is seen in action at Didcot on 23rd May 2015. D2120 is one of the Class 03's with cut down cab for working the Burry Port & Gwendraeth Valley line. Nowadays, the loco normally works on the Fawley Hill Railway. Note the 87C (Danygraig) shedplate.